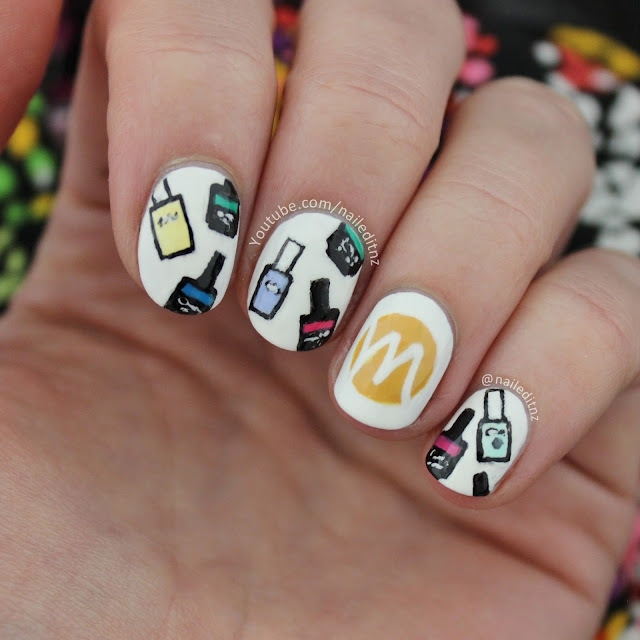 Wow, so there's a lot of nail art to share today! Eleven different designs, to be exact, and all with tutorials on my YouTube channel. I won't dawdle, so here's the first! This design was created as part of a collaboration with Monaco Pro, and as you can see I painted tiny nail polish bottles all over my fingers! Watch the tutorial and learn more about Monaco here. 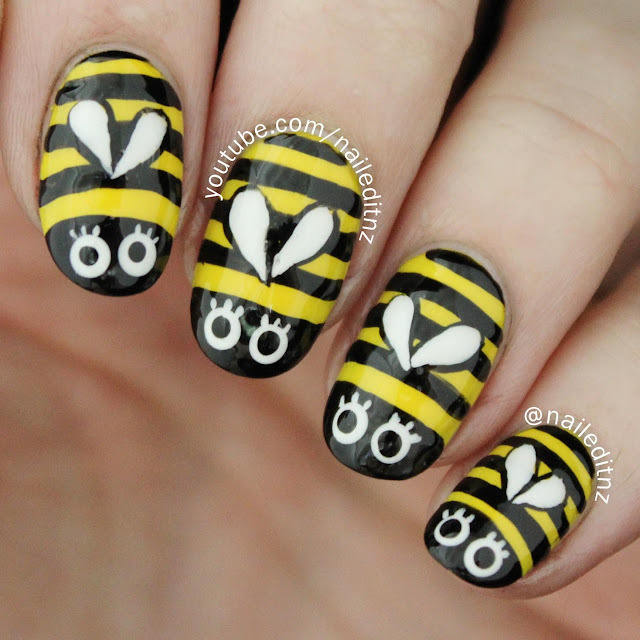 This next design is from my nail art for short nails series, in which there are now five videos. I'm looking at expanding it in the New Year, so keep an eye out for that if you're cursed with short fingertips. Check out the tutorial for this design here. 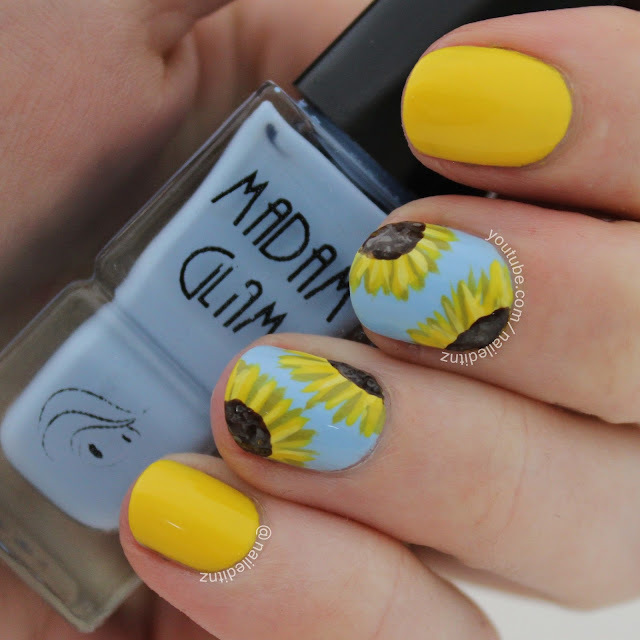 Sunflowers were my favourite design for a LONG time! It was quite funny, I had just uploaded this video when I checked my old ones and realised that I had done the exact same design years earlier, as one of my first ever tutorials. Of course, the quality had improved so it was still worth doing, but I couldn't believe I just forgot like that! 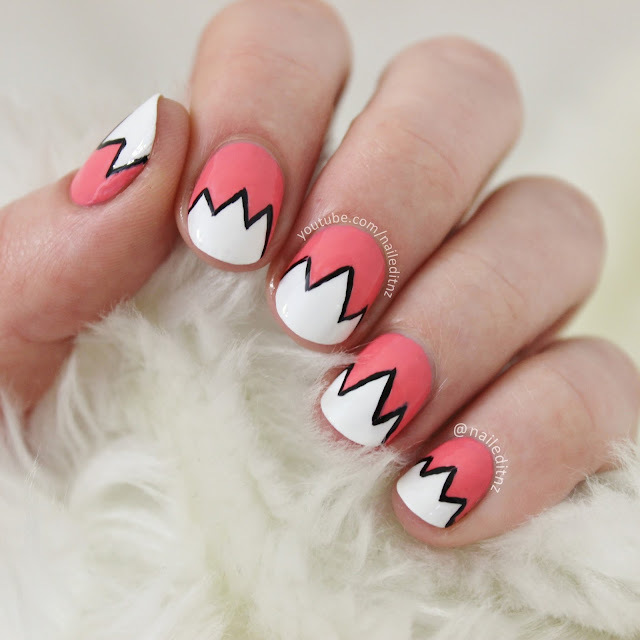 Watch this short nail design here. 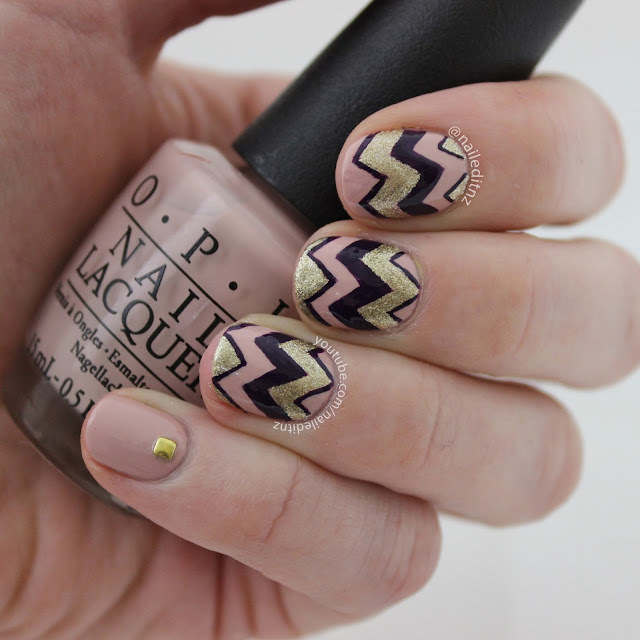 Another one from the same series, this Chevron design is one of my classier looks, and I really loved wearing it. The gold is just beautiful! Watch the tutorial here. I'm finishing off my graduate diploma in Early Childhood education at the moment, and this is one of the many designs I did for the kids - they just love cute nails! Bumblebees are also a personal favourite, even though I've been stung a stupid amount of times in my life. Watch this tutorial here. I'm a big believer in New Zealand opening their doors to more refugees, so I joined in with a campaign LUSH was doing - #DoubleTheQuota. 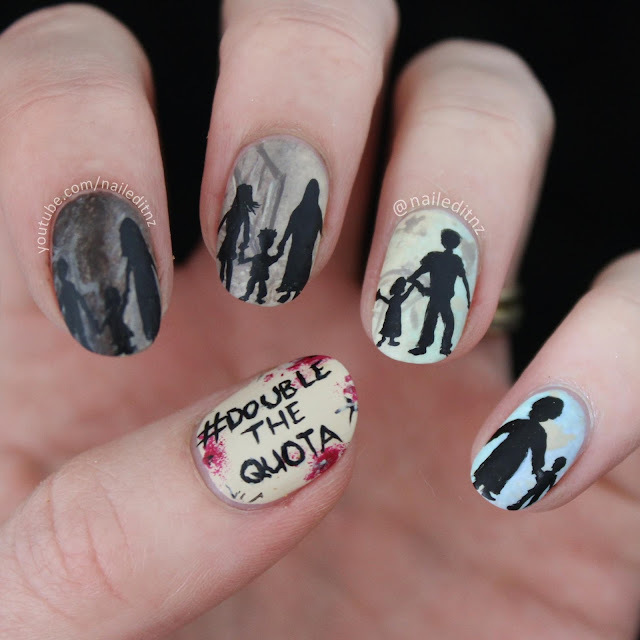 Learn more about this cause and see how I did the nail art here. I feel like the whole world must agree with me when I say that Back to the Future is one of the best movie series ever. 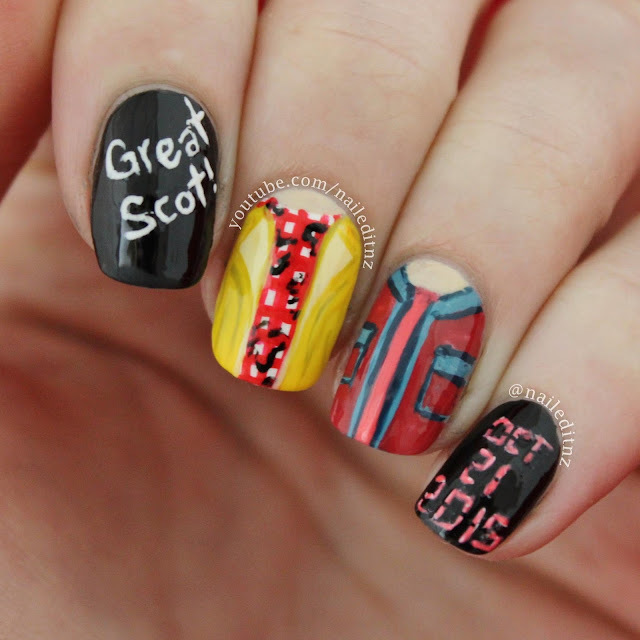 I don't even know how many times I've watched them, and so when "Back to the Future day" came around on October 21st 2015, I made sure I had some nails to celebrate. Watch here! 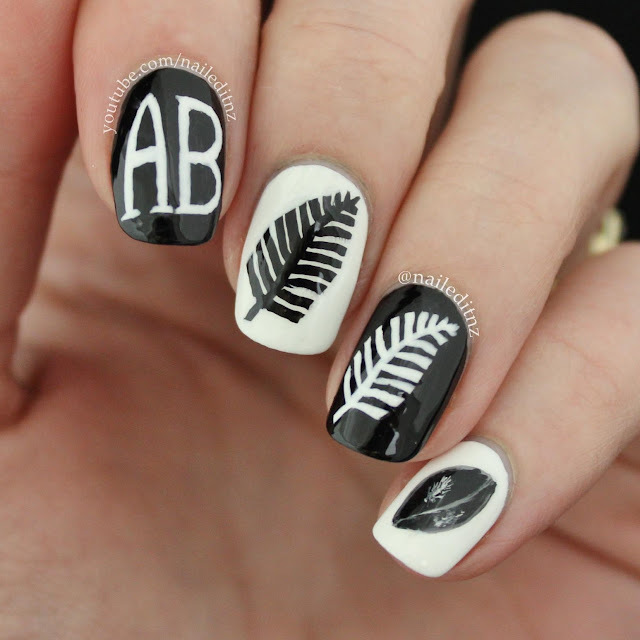 I've been quite patriotic lately, and have done two New Zealand themed designs! The first was to support the All Blacks, our Rugby team as they took on the final in the Rugby World cup. We won (of course, sorry Aussies) and it was a big highlight in a rough year for New Zealand Rugby. Both Jerry Collins and Jonah Lomu have passed away this year, the latter only a few days ago. Watch this video here. 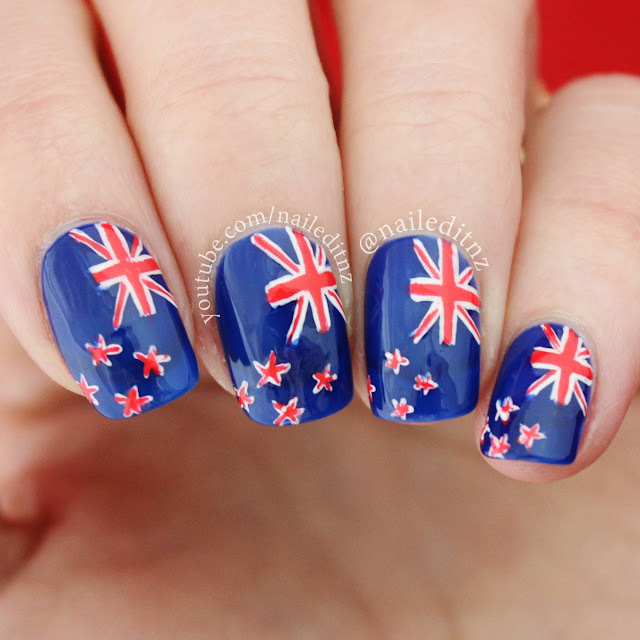 Here are my New Zealand flag nails - the current cause of debate (and in the Stuff comments section, name-calling and general nastiness) in my country. It may be changing soon, so I did this design to commemorate the flag I've grown up with. Watch here. This next design is another one from my short nails series, and the most recent one. 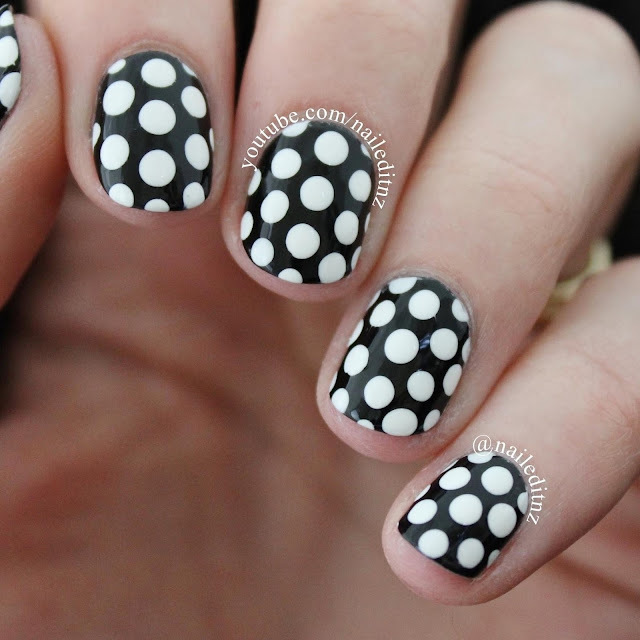 Super easy polka dots! I felt a bit bad putting this up as it was SO simple, so I made sure to include lots of little nail art tips in the video, and got some great feedback for it. Watch this tutorial here. 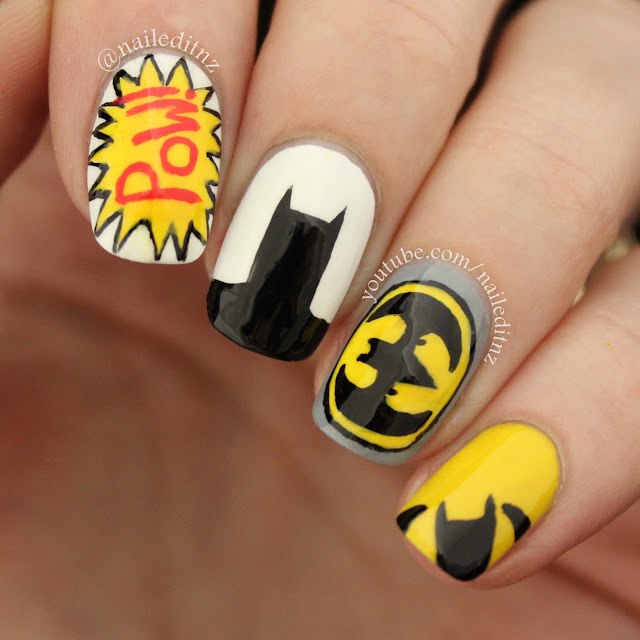 Finally, here's some Batman nail art I re-painted recently as a tutorial. 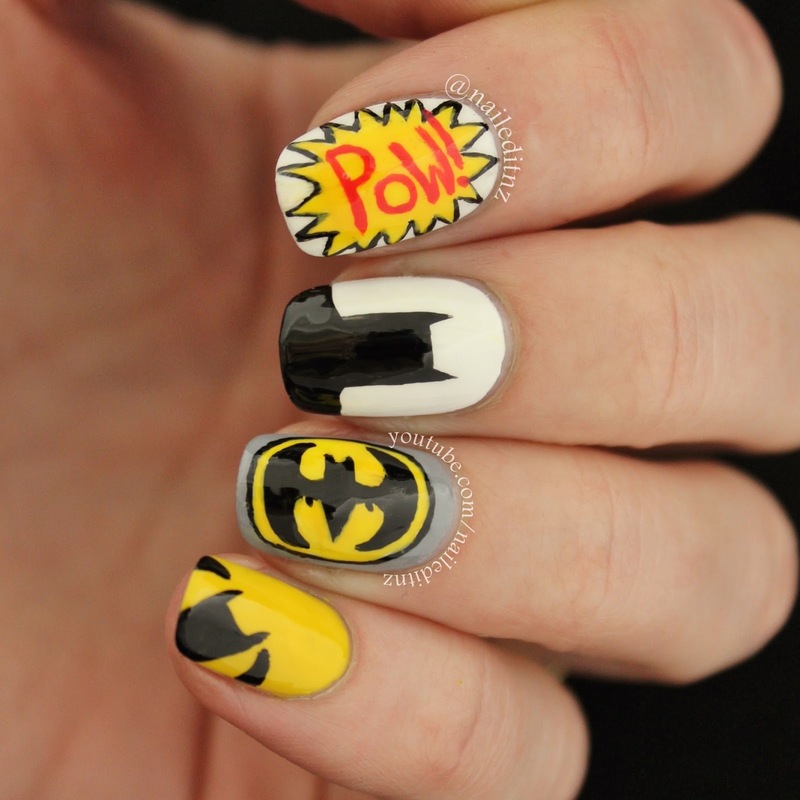 I love superhero nail art, and may do some superman, comic book and pop culture designs next year - agh, there need to be more hours in the day! Too many ideas! Watch this tutorial here. Well done if you made it to the end of this post, and I hope you like the designs! Remember, I only update this blog every month or two, so to see all my new tutorials make sure you're subscribed to my YouTube channel.